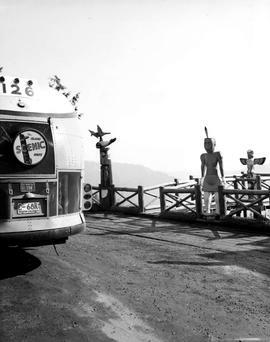 Coach Lines bus at the Malahat lookout. 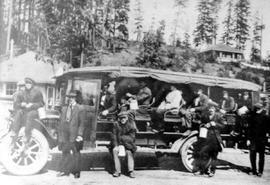 Federal Motor Company bus; Sisco Transportation, Ladysmith. Federal Motor Company truck; Sisco's Fast Express bus, Ladysmith.